Engage for Good, a cause-marketing group with both corporate and nonprofit members, is handing out its annual Halo Awards, with companies like Discovery, Disney, Walgreens and Timberland taking top honors. The organization awarded 28 winners, chosen from 125 entries. “Once again, Halo-winning campaigns rose to the top by effectively communicating cause-related messages while measurably building a better world and the bottom line,” says Engage for Good President David Hessekiel, in announcing the honorees. Project C.A.T. : Conserving Acres for Tigers, a partnership between Discovery, Pledgeling and the World Wildlife Fund, won gold in the animal category. #DreamBigPrincess global photography campaign, created by the Walt Disney Company and Girl Up took gold for a consumer-activated corporate donation campaign. And Walgreens’ Red Nose Day 2017, which focuses on ending childhood poverty, earned gold for a consumer donation/crowdfunding effort. Timberland won a gold award in the environmental category for its ongoing “Planting Seeds for Haiti's Future,” a partnership with the Smallholder Farmers Alliance, and is an example of how complex social-impact initiatives can be. 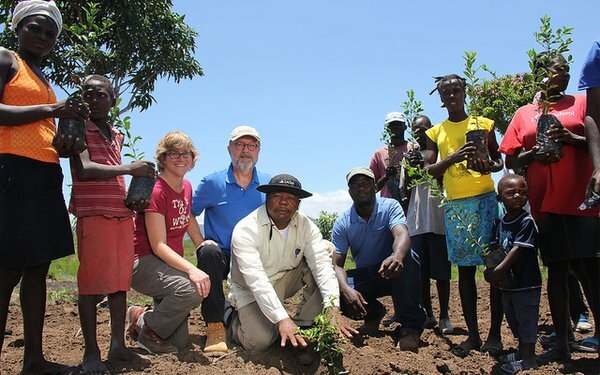 "Timberland first committed to planting 5 million trees in Haiti back in 2010, as part of the Clinton Global Initiative," says Atlanta McIlwraith, Timberland’s senior manager of community engagement. Since then, it’s continued efforts to find ways to make planting trees sustainable as it encourages Haitian farmers to return to growing cotton, which it hopes to use in its clothing. “Trees add nutrients to the soil and prevent erosion, and we found that the small farmers who worked with us saw a 40% increase in crop yields and an increase of between 50 to 100% in their income,” she tells Marketing Daily. That extra money, in turn, resulted in more farmers being able to send their children to school. Timberland has three main CSR objectives — creating responsible projects, protecting the outdoors and serving communities — "and what's so wonderful about this project is that when it all comes together, it will address all three." Engage for Good also honored Salesforce, the global CRM company, and Save the Children, a nonprofit, with Golden Halo Awards, based on long records of achievement.